Farid Mammadov has spent the last 13 year honing his skills as a singer and that could propel him to the Song Contest top spot. However, he is also a favorite in something that is much less well known, the contest to choose Eurovision’s new Top Male Model, leaving behind Cezar of Romania and Marco Mengoni of Italy. Farid has worked hard to improve his singing skill, but his smoldering good looks are mostly a gift from the outstanding genes provided by his mother, a USSR silver medal gymnast and his father, a judo expert. Not only has Farid been passionate about his music, but he follows a healthy lifestyle by practicing the Brazilian martial arts regime known as capoeira and daily visits to the gym for workouts. 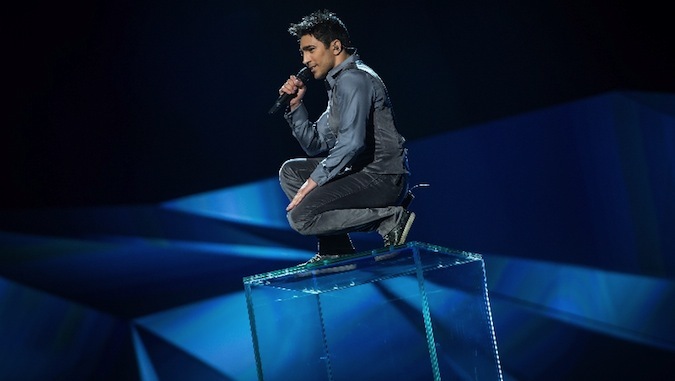 Farid Mammadov performs Hold Me in the Grand Final on May 18th, 2013, under #20. Watch Hold Me on YouTube. Follow Farid on Facebook and Twitter, and even more exclusive on Instagram! Download for the free new innovative app ‘Farid Mammadov Eurovision 2013’ from App Store, Android Market, and Google Play store.